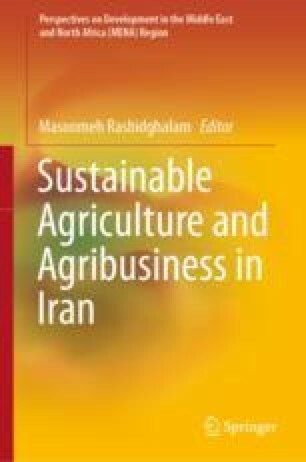 Given the importance of forest resources and the fact that a significant part of the value of natural resources including forests, is their non-use value, this study estimates the non-use value of Arasbaran forests in Iran using the choice experiment technique. We employed data from 334 visitors and citizens in ten cities in three provinces of Iran: East Azerbaijan, Wes Azerbaijan, and Ardabil. These were chosen using the two-stage cluster sampling method. Our results show that the total non-use value of Arasbaran forests is about 1704.199 billion rial (about 40.57 million USD) in which 76% is the “option” value and 17 and 7% are existence and bequest values, respectively. Moreover, the results of the estimation of compensating for the surplus non-use value show that this would be worth about 16038182 rial (about 381.86 USD) per month. Our results also show that factors like respondents’ educational levels, income, number of annual visits, and favorable attitudes toward Arasbaran forests, have positive and significant effects on their willingness to pay (WTP) for the non-use value of the forests. The results of this study can serve as a guideline for decision makers and for planning forest protection programs which can help attract public participation in the conservation and sustainable use of this valuable natural resource in Iran.